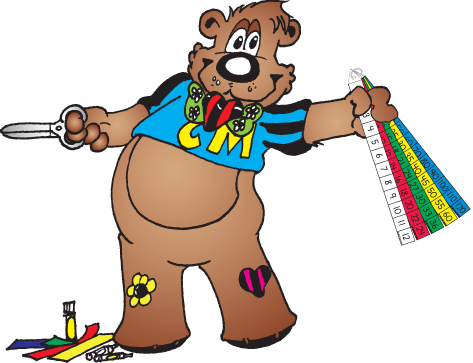 Creative Mathematics is a leading educational consulting company that has provided over 30 years of teacher training workshops and instructional materials. Creative Mathematics presents one-day and multiple-day workshops along with video classes, which offer college credit. Our expert presenters offer exciting classes and the thousands of teachers who attend our workshops each year comment on both the high quality and practicality of the material. And it’s material that can be implemented immediately. All seminars offered by Creative Mathematics are prepared using standards-based content. Each of the presenters offer independent staff development training for school districts, which are individually tailored for your specific needs. Creative Mathematics offers books, music, dice and math manipulatives. Our materials are exclusive to Creative Mathematics and are both entertaining and powerful tools that can help improve your teaching. The items we offer in our catalog and online store are classroom tested, practical tools that will enhance and strengthen your curriculum. 1. What happens if I cancel? We accept cancellations up to the day before the workshop. Substitutions may be made at any time. If you cancel the day of the class or after there is a $15.00 charge. It is possible that a class might be canceled due to bad weather. If schools are closed due to bad weather, please contact Creative Mathematics or the hotel and they should be able to give you information about the workshop. 3. What happens if a workshop is canceled? If we contact you prior to the class or you call the hotel and are told about a cancellation due to bad weather you will receive a refund. We may also attempt to re-schedule and you could apply your payment towards that class or another class. 4. How does college credit work? University credit is available from Humboldt State University at an additional cost. These credential/licensure courses offered are designed primarily for elective or professional development purposes. A one-day class offers 1/2 unit of college credit for $30.00. The two-day class offers 1 unit of college credit for $60.00 and the four-day class offers 2 units of college credit for $120.00. We encourage everyone to check with their district to verify that they accept HSU credit before they sign up. 5. Can I still apply for credit after the class is over? You may apply for college credits after you have taken the class. Late registrations are only accepted up to one year after the course was originally offered and will be charged a $25.00 late fee. If you have the proper forms and information, just send them to us or contact us and we will send you the forms needed. 6. Do you offer CEU’s or Clock Hours? Yes, in many areas we also offer CEU’s or Clock Hours. Please contact us prior to the workshop for more information. 7. Can I register using a PO? You may register with a school/district purchase order. You may mail it in, fax it or call it in as long as you have the PO # and the name, address and phone number of the school or district responsible for payment. 8. Is attendance verification available? All seminar attendees will be provided verification of hours of participation, which may be used to meet individual continuing education or re-certification requirements. 9. May I video the seminar? Audio or video recording is not permitted at any seminar due to copyright/trademark issues.